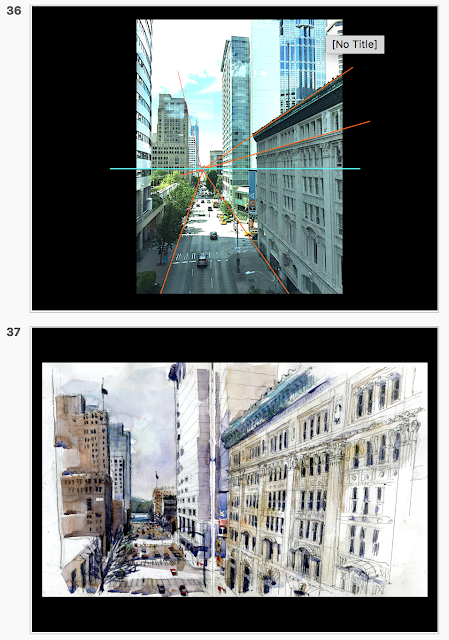 Urban Sketchers Seattle: Perspective? Daniel Smith this Sunday 11am! Perspective? Daniel Smith this Sunday 11am! "Simple Tips every artist (and sketcher!) should know about Perspective". Yes, many people fear or fake perspective, so it's my mission to show how easy it can really be! The talk will be an interactive lecture, so bring your sketchbook to draw and take notes--followed by a quick perspective and watercolor demo. I'll also bring lots of my recent India and Asia sketches!